A Bank of America ATM, because your debit card will cost you. Are you a Bank of America customer? Then I suggest you put the debit card away and start researching where the closest ATM might be, because you’re going to need that knowledge. Bank of America, or BofA, has announced that they’re going to change their policy regarding debit cards soon, and like most policy changes, this one is bad for the customer. 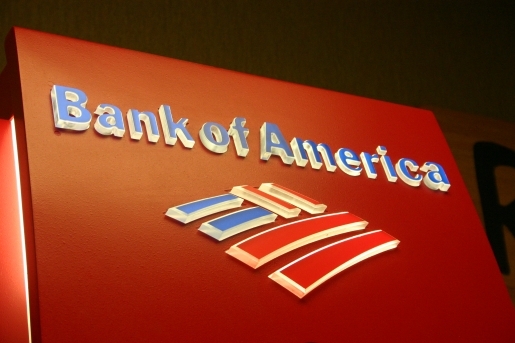 Bank of America is going to start charging a $5 monthly fee for debit card use. Whether you use your debit card once or 50 times, it’s going to cost you. “The economics of offering a debit card have changed with recent regulations,” said Bank of America spokeswoman Betty Riess, who added that customers will be notified of the change 30 days before it takes effect. As if that’s helpful to the customers. JPMorgan Chase has also rolled out a test charge of $3 in some markets; tests are ongoing. At the core of this issue is something called a swipe-fee cap, which is designed to ensure that the cost of processing a debit card transaction doesn’t grossly exceed the cost actually passed on to retailers (every debit card or credit card swipe costs the merchant something). Instead, banks are passing that difference on to the customer, because it was cutting into their billion-dollar profit margins. Great idea, Bank of America. You’re the smartest bank ever.